Contact lens engineering, manufacturing technology and materials have evolved immensely over the past twenty years to provide a much larger cross section of patients that are candidates for contacts. Drs. Lentz, Seiler, Longoria, and Kutschka fit all types of contact lenses including 1 day, 2 week, one month and extended wear disposable contacts; toric contact lenses to correct astigmatism, bi-focal contact lenses and rigid gas permeable contact lenses. 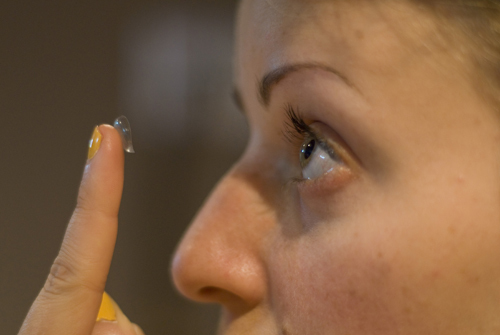 Our doctors fit contact lenses for a wide age group including pre-teens up to baby boomers and active seniors. Based on the health of your eyes, the eye doctors can tell you if you are a candidate for contacts and will use their expertise to choose the contact lens which will allow for the best vision, comfort and eye health possible.